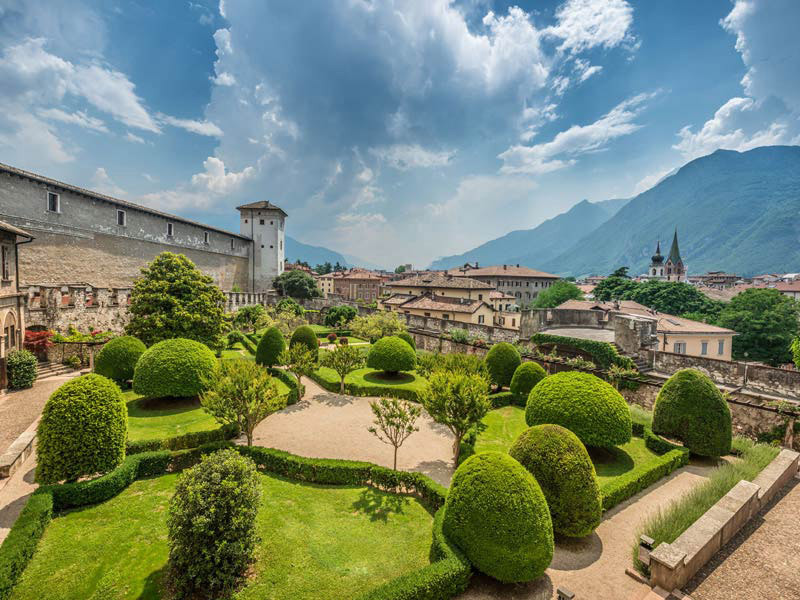 Trentino, for centuries land of passage between Italy and the Mitteleuropa, is dotted with fortifications, guard towers and castles, useful for controlling the territory and home to noble families. Built to be inaccessible, they often sparked the popular fantasy that tied to so many of these fortresses legends, not always with a happy ending. 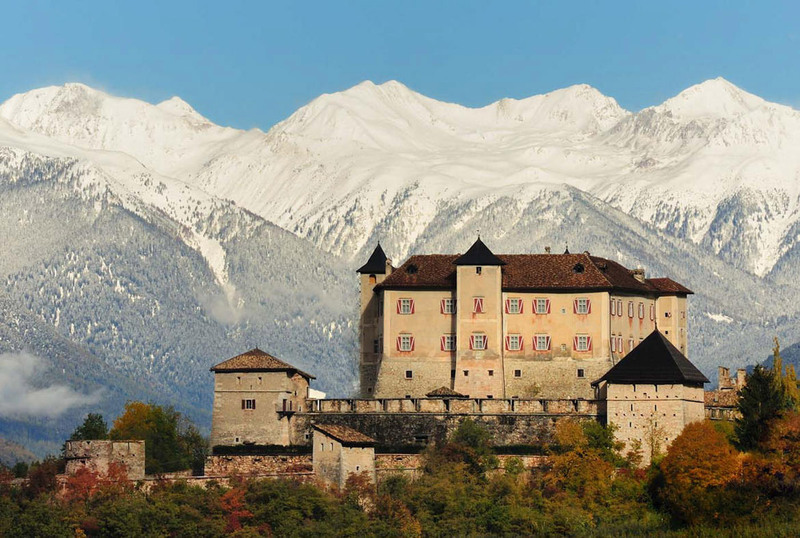 Here is our top eight of the best castles in Trentino! It dominates the Valley of Non from a hill cultivated with, you guessed it, apple orchards: it is Castle Thun, home up until 1992 to the homonymous family, at one time the most powerful of the local nobility. Purchased by the Province of Trento, it has been restored and is now open to visitors, and still retains original furnishings, precious art collections, an important library and a stunning picture gallery! As of today a visit is definitely a must: this is probably the best maintained of all the castles in Trentino. It is Castle Pietra, one of the many castles guarding Vallagarina, the valley that acted and still serves as access to Trentino from the south. Under its walls in 1487 the famous Battle of Calliano was fought , won by the Austrian dukes against the republic of Venice. Today, the castle can be visited either through guided tours or through free visits, which are to be booked in advance. Make it a castle day, and visit it along with the next on our list! 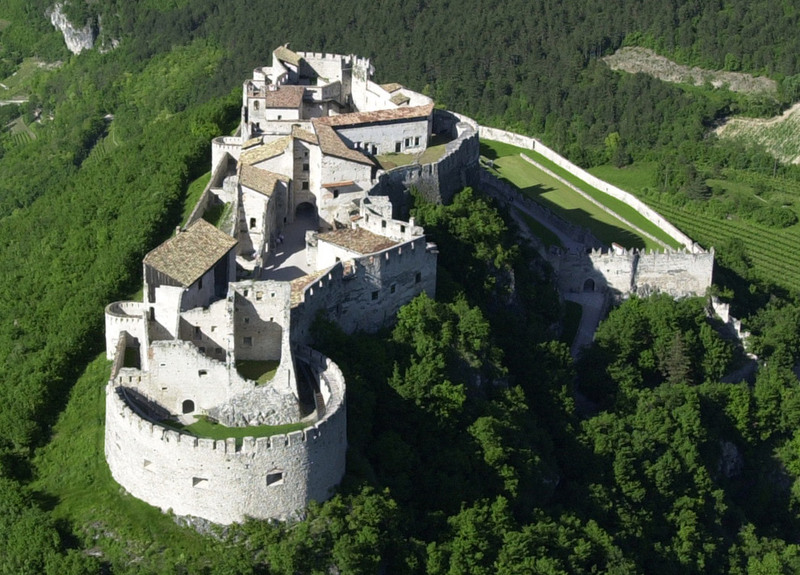 It is Castle Beseno, the largest by far of the fortified castles in Trentino. It is an impressive fortress that occupies the summit of an entire hill, dominating the Adige Valley, sitting above above Castle Pietra. Inside, visitors will find a collection of weapons and armor, both originals and faithful copies, in the name of … Please touch: everyone is invited to wear, handle and try on leggings and jerseys and greathelms, for the joy of the children! Visit it along Castel Pietra, or the museum of modern art in Rovereto! 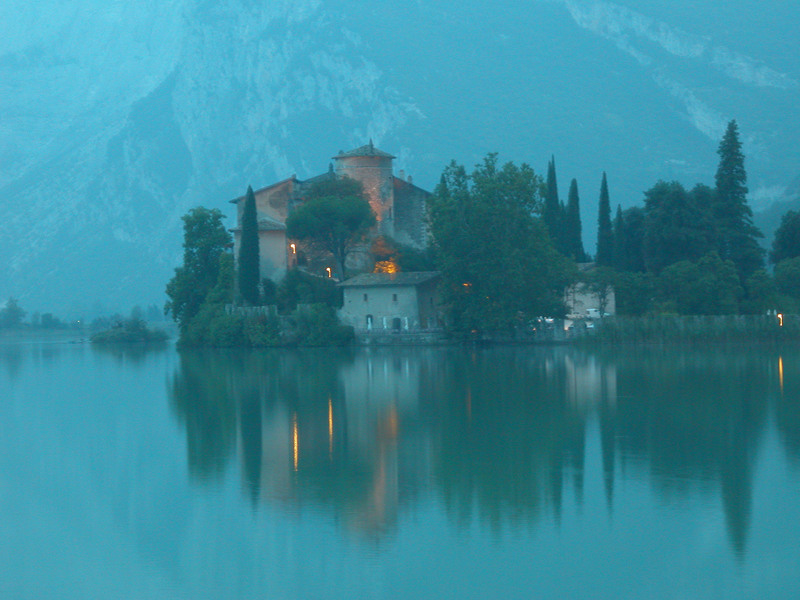 It always makes the list of castles to see, and here it is: Castle Toblino, built on a small island on the shores of the homonymous lake and rightly defined as the most romantic castle in Trentino. Originally a pagan temple, as evidenced by the Roman-era tombstone at the entrance, it soon became of strategic importance and was contended by the lords of the area. Today the castle hosts a restaurant, which is a must-have for those who want to taste the gastronomic specialties of the region revisited with creativity! 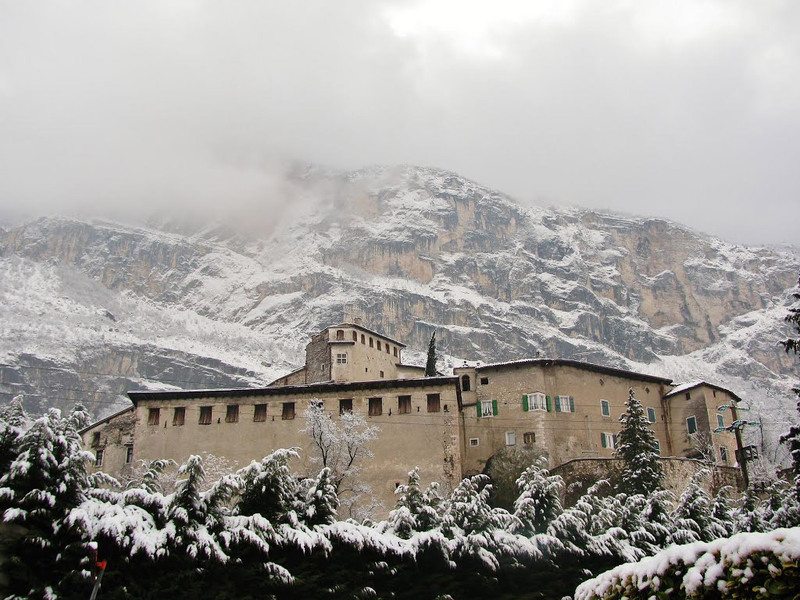 We are talking about Castle Buonconsiglio, the most important castle in Trentino, home to the Bishop-Princes and symbol of the city of Trento. Today the castle is also a museum and every year hosts exhibitions of great success. It consists of elements of different ages: an older part called Castelvecchio, and Torre Aquila, which contains the Cycle of the Months frescoes, a masterpiece of Gothic art. There is then a Renaissance part, the Great Palace, built by Prince Bishop Bernardo Clesio and richly frescoed, while another wing of the palace, the Junta Albertiana, is of the Baroque period. The complex today hosts the Provincial Museum of Art, monuments and provincial collections, and each year presents a large summer exhibition and other exhibition appointments, enriched by educational activities, workshops, and proposals for schools. 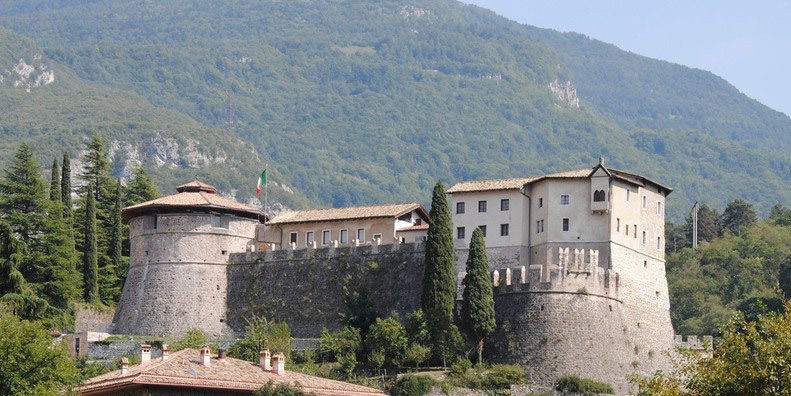 The Rovereto Castle, strategically located on a rocky shore on the right bank of the Leno river, has the imposing structure of a military stronghold. 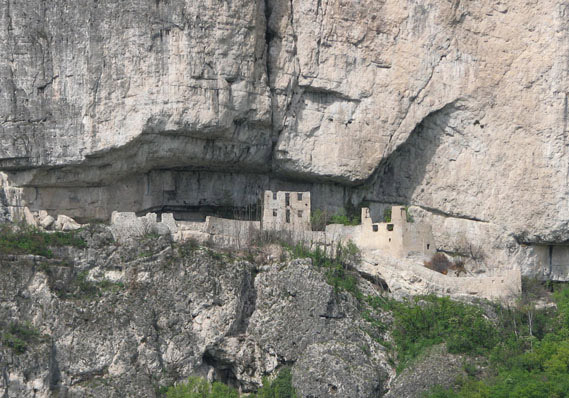 The first nucleus was built between the XIII and the XIV century, and it is one of the best examples of late-medieval alpine fortification. Today, it houses the Italian Historical Museum of War, and it was until 1961 the home of the famous Maria Dolens, the Campana dei Caduti or Bell of the Fallen, the largest in the world still working, which found its seat on the Miravalle hill. Here remains only the original plaster model. It is definitely worth the visit, especially if combined with that of the Mart museum in Rovereto! Less known but not less important than Castle Thun, Castle Cles is located not far from the homonymous capital and geographic center of the valley. Originally built in the 12th century, it was restored and transformed into a Renaissance palace by Prince Bishop Bernardo Clesio, the most illustrious character of the Cles Counts’s family. It is worth the visit for the beautiful frescoes inside, and for the spectacular coffered ceiling of the Metamorphosis Hall, painted with scenes from the work of Ovid. To visit this castle, or rather its ruins, you will need a bit of patience and good hiking boots, as well as a pinch for adventure. Built in a natural cavity at a height of about 370 meters above the valley floor, it can be reached in about half an hour through a really steep path that starts from Castle Firmian, once home to the homonymous noble family of Firmian, and located just under Castle San Gottardo. The first mentions of this fortress date back to the 12th century, making it one of the oldest of the castles in Trentino. Choose a sunny day, and bring your camera! 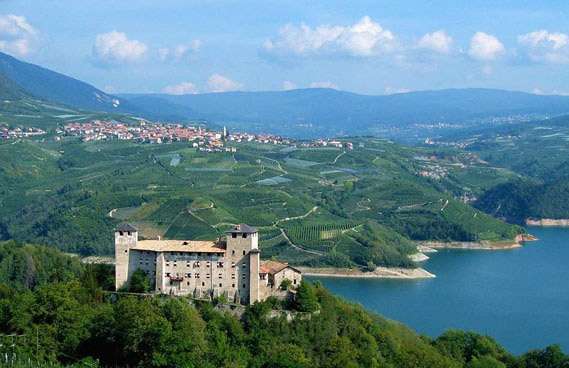 From the castle you can enjoy a spectacular views across the Adige Valley! You don’t like visiting boring castles, and would rather spend the day at the lake? Take a look at our Top Ten of beautiful lakes in trentino! we are storming the walls!